11/12 UPDATE: Calling the video “absolutely disgusting” and “very disturbing,” Fort Bend County Sheriff Troy Nehls announced that police, child welfare workers, and school officials are investigating the incident. 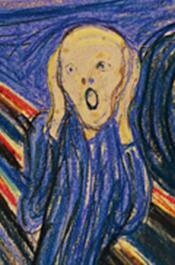 In a Facebook post, Nehls added that the boy “should not have been subjected to such awful behavior by his Mother." A video of the troubling incident shows that the woman also gave her eight-year-old son a hand lettered sign to carry. “My mom kicked me out because I voted for Donald Trump,” it read. But after the 2:45 clip began circulating online and prompting outrage--along with calls to contact police and child welfare officials--the woman deleted her Facebook page. The woman heard on the video berating the boy is Ashley Tchenavia Stallworth, a 29-year-old resident of Fresno, a Houston suburb. The video was shot at Stallworth’s Fort Bend County home, which is also listed in public records as the residence of Stallworth’s mother Gloria and her brother Timothy. Stallworth then pushes her son out the door. 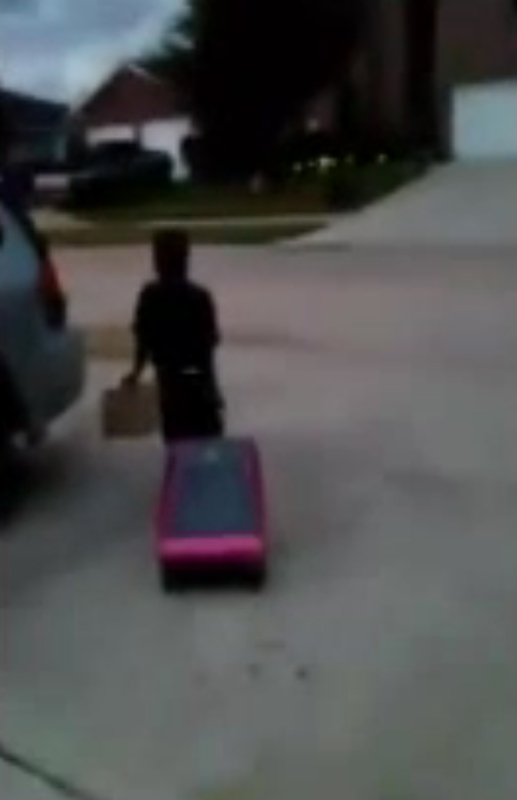 The clip then continues with video of the child walking away from the residence pulling the suitcase behind him. He is carrying the sign in his left hand. As her son continues to sob, Stallworth says, “Bye, Donald Trump lover.” When the boy says, “I’ve got school tomorrow,” Stallworth replies, “you should’ve thought about that.” Standing on the sidewalk, the child asks where he is supposed to go. “This where you gonna be at from now on,” his mother replies. According to court records, Stallworth shares custody of her two sons with their respective fathers (both of whom have been subject to court orders requiring them to make child support payments to Stallworth). Stallworth could not be reached for comment about the “eviction” of her son, which, presumably, was meant to serve as some kind of a lesson. In an online post she made last year around Father’s Day, Stallworth saluted men who put their children first. “That’s the main thing when being a parent,” she wrote.